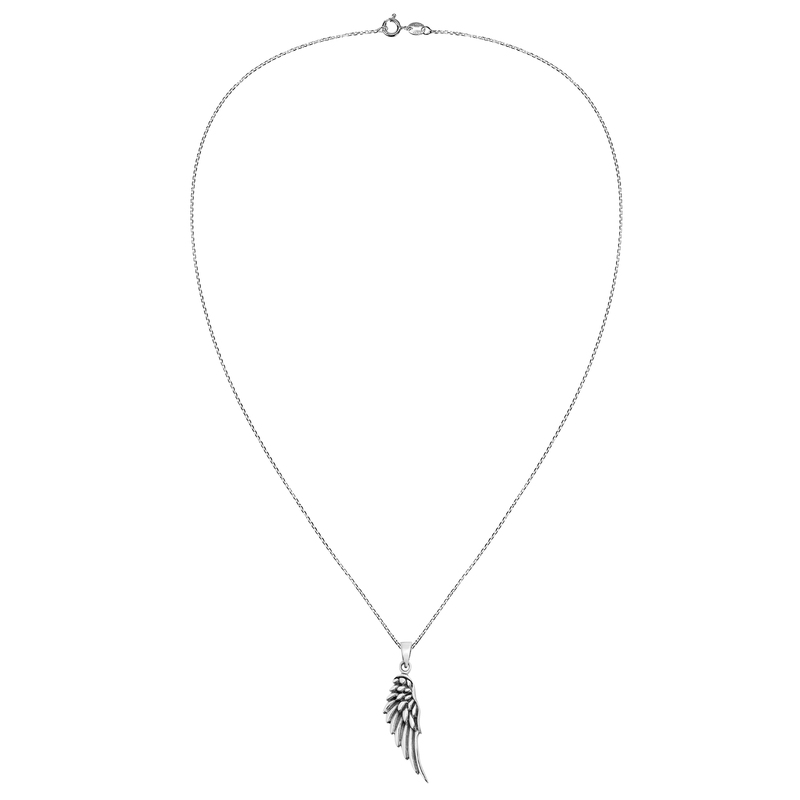 Artisan Khun O from Thailand has handcrafted this alluring .925 sterling silver necklace. 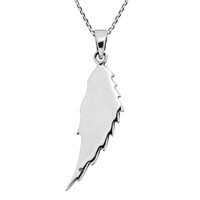 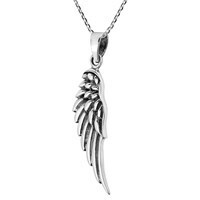 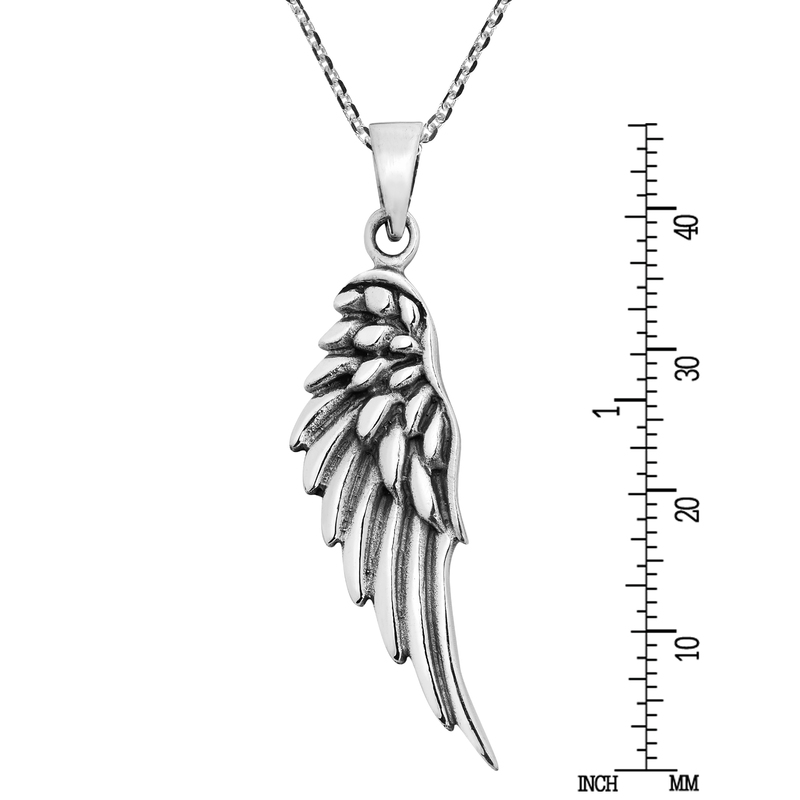 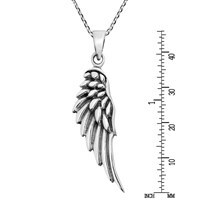 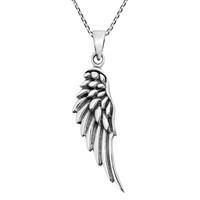 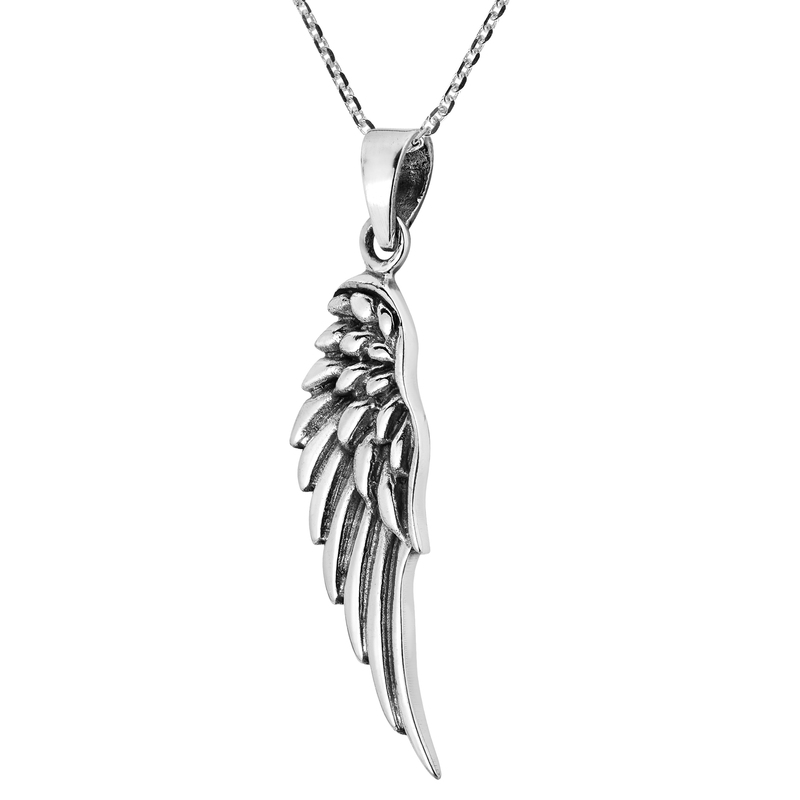 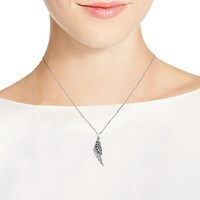 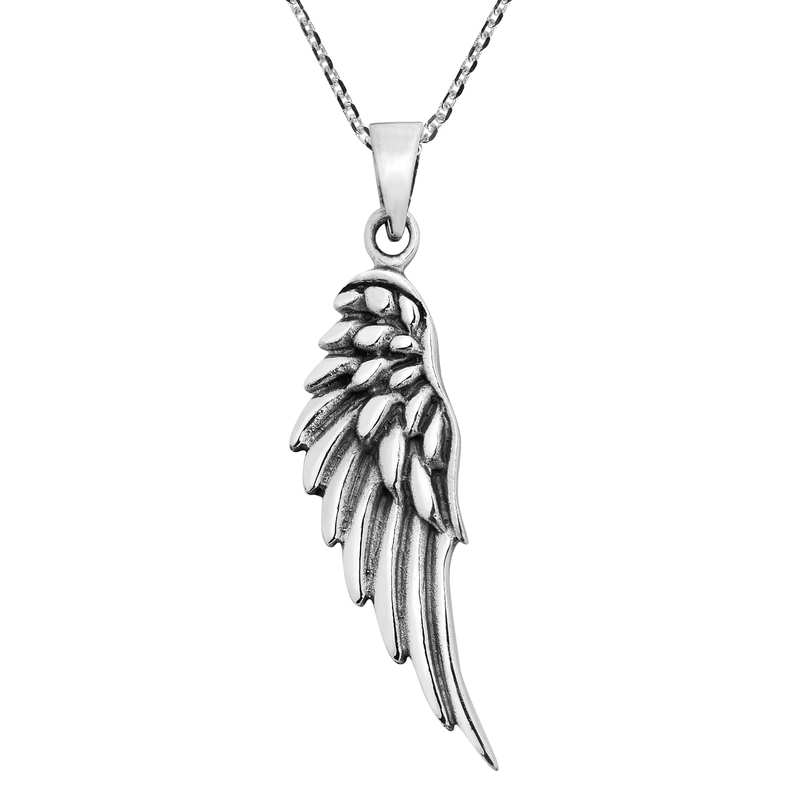 The unique design features a single Angel's wing with shiny and oxidized finish. 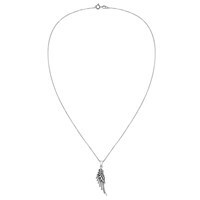 The necklace includes an 18 inches long cable chain with round spring ring clasp. A beautifully designed accessory that can be worn daily.